Public dental health, which is also referred to as dental public health, is a population-based approach to dentistry that is concerned with improving oral hygiene and preventing oral health problems in the community. Dental public health is focused around running various programs and campaigns that will ensure that the community understands that importance of oral health and healthy dental practices in an effort to reduce rates of oral health problems in the population. The modern practice of public dental health revolves around achieving key goals that have been proven to improve the general dental health of the population. One of the main goals of dental public health is to facilitate various government-sponsored oral health programs for the community. These programs are aimed at a whole range of different constituents of the community. One of the most common programs is dental health programs in elementary schools in a given district. These programs for children aim to enforce the importance of dental hygiene from a young age, teaching children various vital dental habits such as regular brushing of teeth to prevent future dental problems. Another goal of dental public health in the Jacksonville area is to design and implement surveillance systems of oral health in the community. 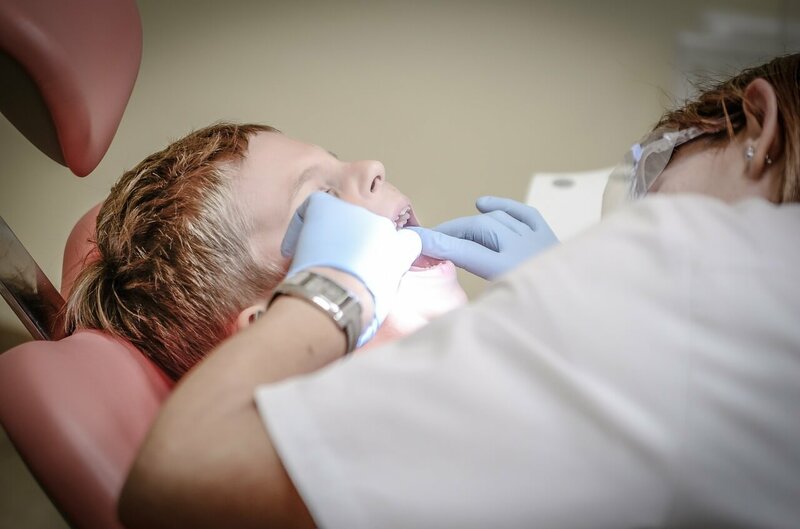 As this practice of dentistry is concerned with improving the overall dental health of a community, like Jacksonville, it is heavily reliant on accurate measures that can be used to measure the level of oral health in a community. 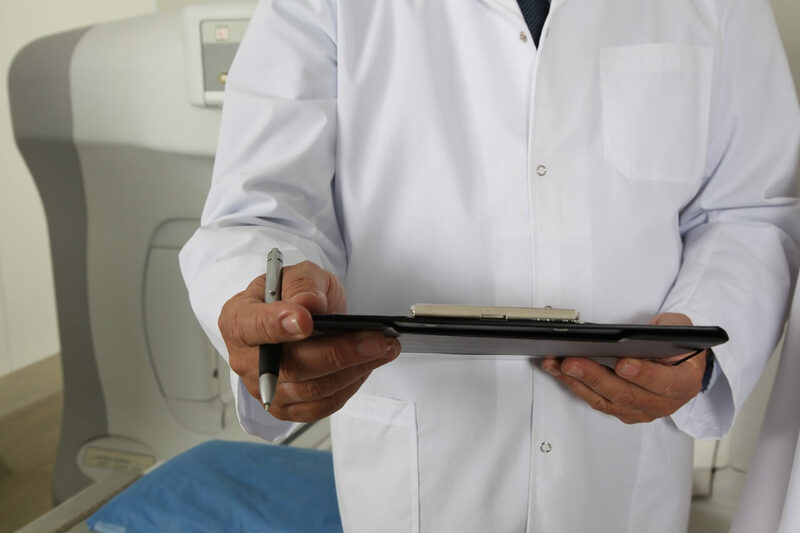 Many times, these surveillance systems are linked to hospitals and general dentists in Jacksonville who provide reports on the patients that they have encountered. Collecting a large range of reports from hospitals and dental practices, dental public health professionals are able to collate data on how many people in the community suffer from various different dental problems. From there, they can apply statistical techniques to analyze the likelihood of dental problems for the average individual in the community and work to lower these likelihoods through various public dental health programs. A major goal of public dental health is the petitioning for more favorable dental health policies and programs. Leading figures in the dental public health field will often have major involvement in local political organizations in order to ensure that they are able to influence more decisions that will allow for better oral health for the community. This may mean petitioning state and local governments for more grants to run oral health programs. Furthermore, another aspect of improving dental health in the community through petitioning for better legislature and funding is the creation of lobby groups of dental health professionals. These groups often consist of the most respected and accomplished dental professionals in the area who advocate government representatives for more awareness campaigns, funding and general support. These lobby groups are often backed by various political organizations as well as a large number of other dental professionals in the area. Another critical component of raising dental health standards is to conduct research on what programs and campaigns are effective. There is a huge research component to dental public health that focuses on scientific researchers and dentists collaborating to see what kind of dental health programs lead to the best results. Furthermore, research also consists of what types of dental products are able to provide lasting results in the community for the most cost-efficient strategies. In addition to conducting and producing research itself, many public dental health professionals will critique and appraise other research on community oral health conducted by others. Many times these professionals are looking to critique research that is often produced by corporations behind dental products in order to vet any sort of bias or inconsistencies that may be present. Many professionals that work in this field are able to not only conduct pertinent research by critically analyzing third-party research to ensure it is up to a respectable standard. Hence, the dental public health field is multifaceted and quite complex. The goals of the field are primarily in ensuring that more people throughout America are able to be free from dental problems by raising awareness of the importance of oral hygiene. Through a mixture of activism, researching and implementing, professionals that work in this field are able to move the community closer to the desired state of minimal dental problems. When you are looking for a dentist to choose for your family, there are a lot of things that you are likely going to be looking at to identify the right one to go with. There are plenty of things that you can do to find the right dentist. One of the best ways to narrow down your options to pick out a good one is to find a dentist that has his/her commitments in order. Below, we will discuss some of the top commitments of a dentist. One of the commitments that you will want to find in a Jacksonville dentist that you choose for your family is a commitment to excellence. Finding a dentist that is continually striving to be the best in their respective field is key. By looking at your options and finding a dentist that is doing everything in his/her power to achieve the best results in their respective industry, you should be able to be fully confident in your decision to go with them. This can mean a lot of different things. A lot of dentists that have committed to being the best really put in the time, monetary, and mental effort that is needed to really achieve the best results for their patients. Another commitment that you are going to want to find in a dentist that you are planning on choosing would have to be a commitment to professional care. You want to find a dentist that is fully into providing the best possible care that they can provide to their patients. There are plenty of ways you can do this. You mainly want to find the dentists that have shown this type of commitment with their reinvestment back into their dental clinics. No one wants to choose to visit a dentist that is not fully committed to providing the best dental care possible. Therefore, you want to be sure that the dentist that you are choosing is fully re-investing back into their clinics in the form of technological upgrades and more. By looking at a dentist’s clinic, you should be able to see if they have made this specific commitment that you want in a dentist. A good dentist will also be fully open to providing the best possible customer service to his/her clients. This means an investment in the proper workforce to provide exceptional service. Along with this, it is going to help ensure that the patient (you) have a friendly and pleasant experience each and every time you go to the dentist office. It would never be wise to choose a dentist that is not fully into providing the best customer service that they can for their patients. A big way to identify the right dentist to choose would be to figure out whether or not they are investing in continuing education. Dentists like any other professional are constantly learning new things. Because there are constantly new things happening in the industry and new studies coming out every day, dentists should be fully committed to continuing education to ensure that they are providing up to date and the most effective dental strategies and service to their clients. Thus, you want to make sure that the dentist that you end up choosing to go with is fully committed to attending continuing education courses even beyond what might be required to sustain their license. That way, you can tell how willing they are to continue to learn for their patient’s benefit. Overall, there are plenty of different things that you are going to want to try to find when you are figuring out what dentist to choose to go with. Picking out a dentist might be difficult because of the seemingly endless amount of options to choose from. However, by looking for the dentists that have made the right commitments as discussed above, you should be able to feel confident enough in your decision to be happy with it. Finding a dentist that is truly committed to providing the best possible care to his/her patients is key and once you do that, you should be able to narrow down your options. Dental anxiety is a real problem for both dentists and their patients. Some patients wait until their pain is unbearable to see a dentist. This can make the problem difficult for a dentist to treat. Thankfully, there are plenty of things dentists can do to reduce anxiety for the patients at their dental practice. Not every patient that feels anxious at their dental appointments is going to voice their concerns. In fact, when people are highly anxious, they’re more likely to stay silent. That’s why you need to look for some of the non-verbal cues associated with anxiety. If you notice that your patients seem anxious, you can take steps to assuage their fears. Some of the more common non-verbal cues include sitting with legs and arms crossed, being jumpy, fidgeting, and breathing more quickly. Patients that are extremely anxious also tend to have an elevated heart rate. One of the reasons that so many people feel anxious at the dentists is due to the office itself. A lot of dental offices are cold, clinical, and generally uninviting. If you are able to create a friendlier, more welcoming environment, you’ll be able to put patients at ease. Studies have shown that patients respond positively to fish tanks. Watching fish in a tank can lower a person’s heart rate and improve their overall mood. Small waterfalls and fountains can also be very relaxing. A lot of people find the sound of running water to be soothing. Lastly, you should use soothing colors, like soft blues and greens, when painting your office. Vibrant colors may look cheerful, but they can actually intensify a patient’s stress. Your patient may not be all that nervous when they arrive at your practice. However, if they have to wait a long time to see a dentist, their anxiety may gradually start to increase. You should work hard to reduce patient wait times. Ideally, a patient should never have to wait more than 10 minutes to see a dentist. If your patients are waiting for more than 10 minutes, you should identify the source of the problem and solve it. While you shouldn’t keep patients in the waiting room forever, you should make sure they are comfortable while they are there. Make sure that the waiting room is always very clean, and provide comfortable seating for patients. It’s also a good idea to provide some distractions. If a patient can watch TV or get engrossed in a magazine, they won’t dwell on their anxieties. Ensure that your waiting room is a pleasant place to be. Some dental tools can be very noisy. This really increases anxiety for a lot of patients. You should give them the opportunity to block out some of these sounds by providing headsets. You can set up the headsets to play soothing, relaxing movements. A number of researchers have found that soothing sounds can actually reduce feelings of pain. If someone is undergoing a painful, noisy dental procedure, being able to listen to pleasant music can make things a lot easier for them. If you can afford to add screens to your offices, you absolutely should. Most patients welcome distractions when they’re undergoing a stressful procedure. If a patient can watch TV or even view simple relaxing scenes, it will be easier for them to maintain their cool. If adding screens to your office isn’t an option, you should try to add interesting, yet calming imagery. For example, you could hang photographs with beautiful landscapes. If your patients are going to spend time looking up at the ceiling, you should place images there as well. As you can see, there are all kinds of steps that dentists can take if they want to reduce patient anxiety. It’s important for dentists to learn how to manage these kinds of worries. It’s very common for people to be afraid of their dentists, but these kinds of fears aren’t based in reality. Make sure people feel welcome at your dental practice. We’re starting our new dental advisory membership for all dentists interested in learning the most up-to-date and advanced dental techniques on the market today. We will be covering updated systems, procedures, technologies and much more. We’ll also be talking through the marketing aspects of our new system. You’re definitely going to want to stay tuned to all of the information we have available, including new research and data on some of the most cutting edge dental technologies available! Missing this information will set you years behind your competition, so bookmark the page and check back often as we’re going to be launching this very soon! We look forward to serving every dentist in Jacksonville FL, and throughout the United States.